Does going to your dental appointments cause butterflies in your stomach and your heart to race? Perhaps even just thinking about the appointment causes the same reaction? Dental anxiety is very real and you’re not alone. In fact, fear causes many people to avoid the dentist to the detriment of not only their oral health, but also their systemic health and well-being. Oral health is linked more often with your overall health and it’s important not to ignore your biannual cleanings, checkups, and necessary treatment. 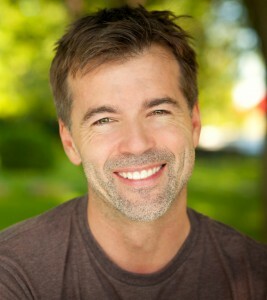 Dr. J. Robert Donnelly, a sedation dentist in San Marcos, TX has a solution for you! 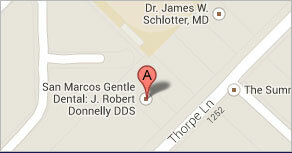 San Marcos Gentle Dental, the office of Dr. Donnelly offers sedation dentistry in a couple of forms. Nitrous oxide, otherwise known as laughing gas can help you relax, and takes the edge off of having your dental work done. You will breathe the nitrous oxide in through a mask worn over your nose and it begins to work almost immediately. With laughing gas you remain awake throughout your appointment and you’re able to respond if addressed, however you’ll feel happy, comfortable and relaxed throughout your procedure. Laughing gas can be used for any type of appointment, and it wears off in a very short time after your mask is removed. You’ll be able to drive and go about your normal activities afterward. We also offer sedation dentistry through medication. This is a prescription that Dr. Donnelly will give you that is to be taken after you arrive at your dental appointment. This type of sedation requires a companion to drive you to and from your dental appointment because you will be completely asleep. The sedative lasts five to six hours and your vital signs are monitored throughout the entire procedure. You will be unaware of your treatment and will wake up refreshed with little to no memory of the appointment. Sedation dentistry makes it possible for patients with mild to severe anxiety about dental appointments to get the care they need. 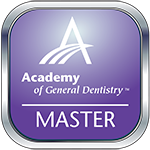 Whether you just need to take the edge off with laughing gas, or you want no memory of your treatment, we’ve got you covered at San Marcos Gentle Dental. Laughing gas can be utilized even for cleaning and examination appointments, while the sedative method makes it possible for patients with severe anxiety to complete many treatment procedures at one time while they relax and sleep throughout their appointment. The sedation method also doesn’t require the use of needles or IV’s, making it more comfortable for patients. Don’t let fear and anxiety keep you from getting the care you need any longer. Contact Dr. Donnelly, your sedation dentist in New Braunfels, TX to learn more about sedation dentistry and how we can help you reclaim your oral health.